Small Family. Small Town. Small Business. FedEx's $50K Small Business Grant! Please Feel Free To Vote! Your vote invests in our business and town! Help us win $50,000 by voting for us once a day now through April 1st! Click Here or Vote Below! Stop by the shop to find one-of-a-kind handmade items such as, signs, jewelry, leather goods, pottery, home decor, all natural body care products and so much more, all made right here in Texas! We host weekly Friday Night Art classes, as well as private parties, workshops, kids art camps, and more! Check out our calendar to see what's coming up or send us a message to book your own event! 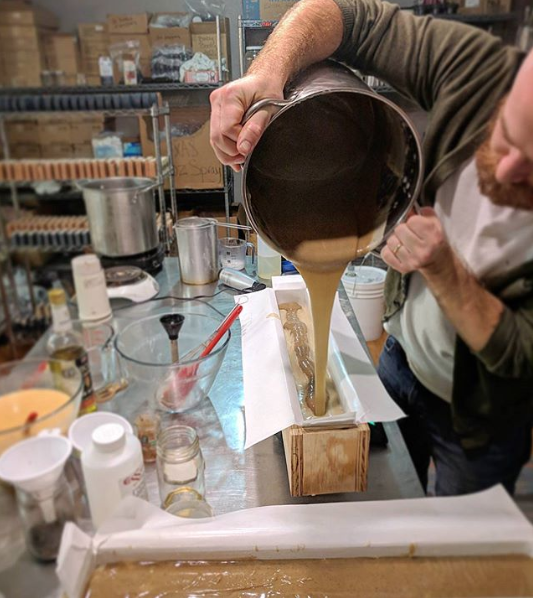 The first thing you'll notice when you walk in is “that smell!” That's because we make all of our own soaps, salves, sprays and more are 100% natural products made in-house with love! Sign up with your email address to receive updates, new product information, and exclusive deals! We respect your privacy and promise not to fill up your invoice with junk!